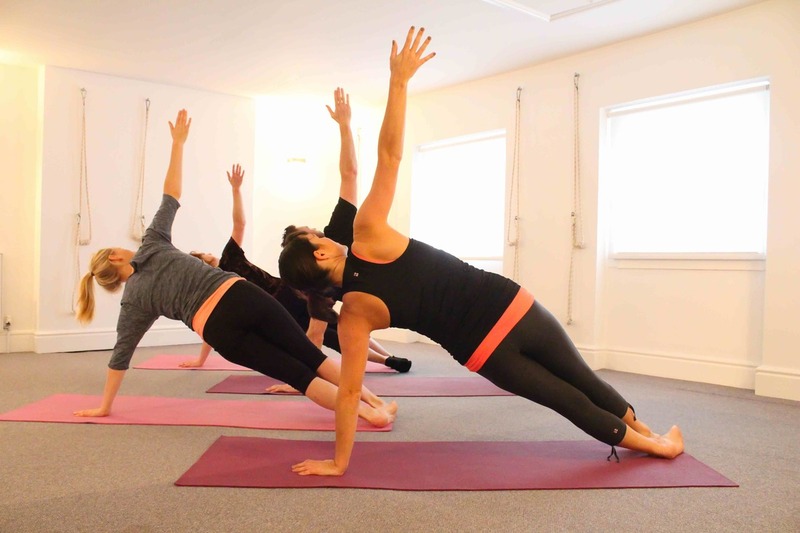 Our Mat Classes, utilise Pilates props and provide a focus on the Pilates floor work repertoire. We will work through your entire body, gaining an understanding of how to move in an efficient manner, creating better posture. 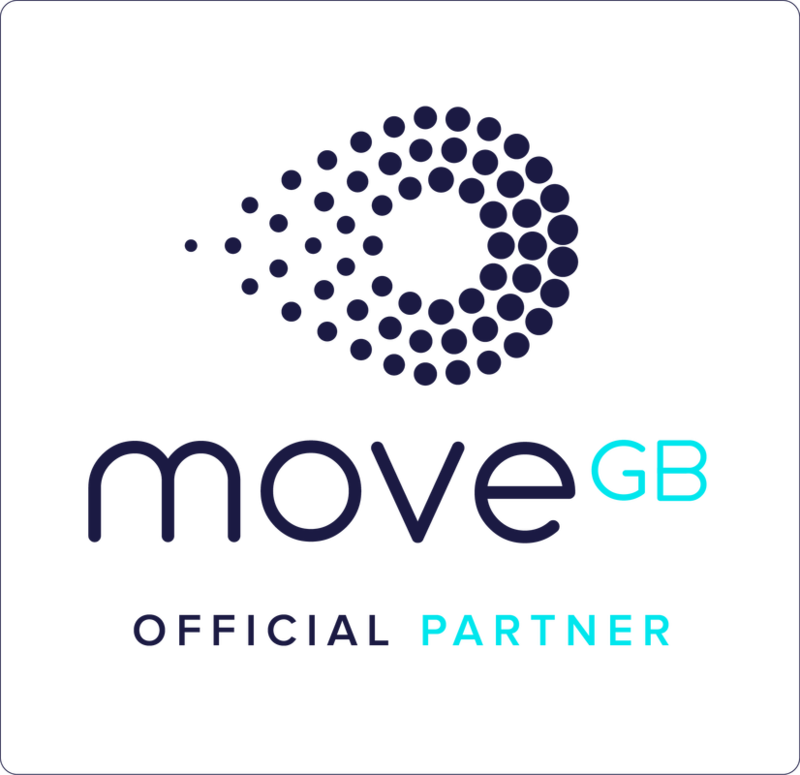 We're a Premium MoveGB partner so we welcome all MoveGB members to all our classes. It doesn't matter if you're a total beginner, a Pilates pro, looking for rehabilitation or simply wanting to improve your sense of well-being: we offer a range of packages and classes to fit your needs. To join an Equipment Class you need either to have previous experience across all the equipment (not just reformers), have attended a 1-to-1 private session and been signed off by an instructor, or completed an Equipment Beginner's Workshop. Mat classes are open to complete Pilates beginners (our Fundamentals level classes are the place to start). 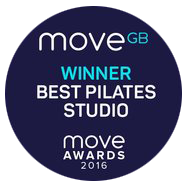 We run a variety of Mat classes: Pilates Matwork, Pilates with Props, Soul Ballet Barre and specialist Pre-Natal classes. 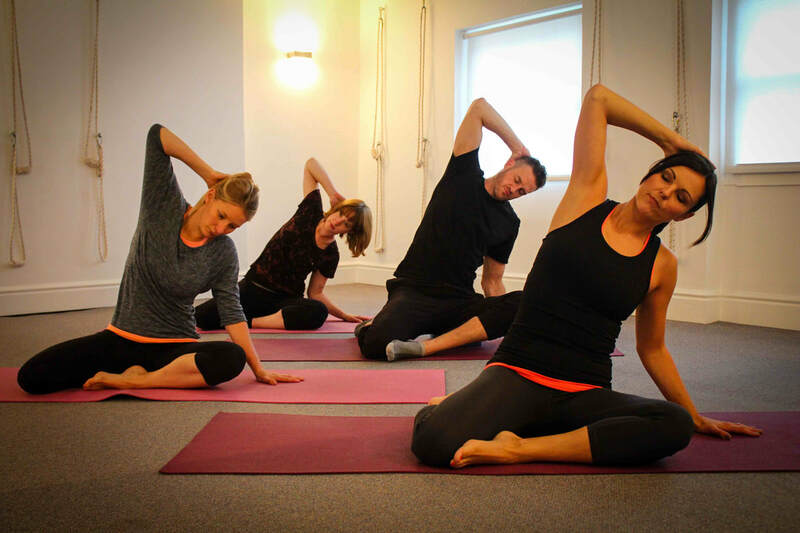 We run small, specialised classes with a focus on functional, rehabilitative movement led by experienced instructors. With two studios, we run classes on the Pilates Equipment, Small Mat & Soul Ballet Barre Classes..
At Soul Pilates we offer classes throughout the week from 10am to 8pm. All our lunchtime classes are 45 minutes long so you can get your Pilates fix during your lunch break. We run different types of classes, at different levels, all of which will leave you feeling stronger with more postural awareness. Mat Classes utilise Pilates props and provide a focus on the Pilates floor work repertoire. We will work through your entire body, gaining an understanding of how to move in an efficient manner, creating better posture. Pilates Equipment Classes are small classes in our equipment studio and work through a circuit using the Pilates machines. 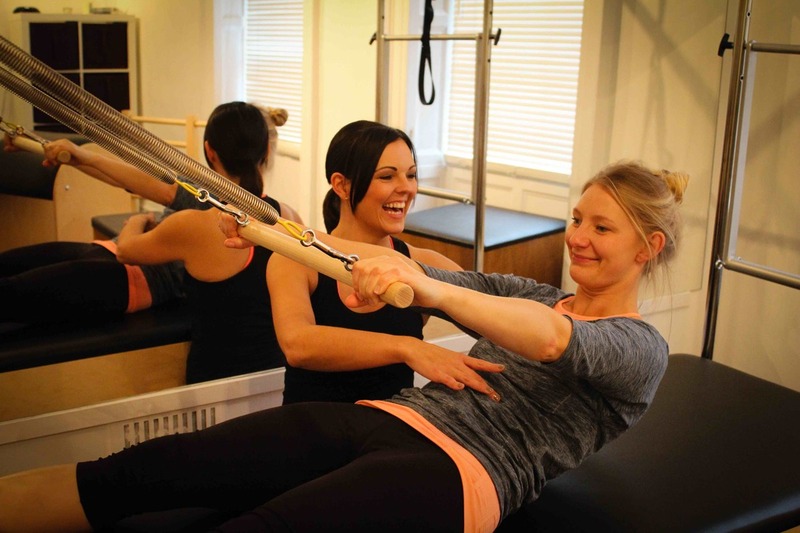 These classes take your Pilates work to the next level and is also a perfect continuation of your 1-to-1 rehab work. This class is suitable for those with little or no Pilates experience or for those with previous experience who wish to recap on the fundamental principles – and perfect them! This class is also suitable for those working post-natally. We will provide some variations which will challenge but the focus will be around learning the core principles of Pilates so that you can look to move onto the Intermediate repertoire, in the future, with ease. This class is ideal for those with some Pilates experience who wish to pick up the pace with the use of props such as rollers, bands, blocks and weights. We will look at the intermediate and more advanced repertoire but with a focus on the basic principles to ensure the sting is taken out of the more complex exercises. A full body workout, blends ballet inspired standing barre work with Pilates to provide more of a cardio standing workout along with the principles of Pilates. One of the hottest fitness trends right now and a firm favourite with celebrities. These classes are suitable for all levels. Our Equipment Classes allow you to work on the equipment in small dynamic classes. 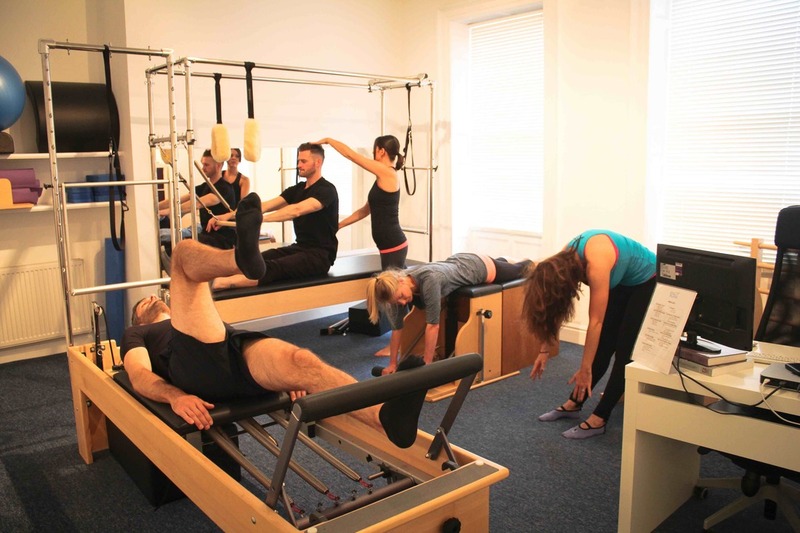 Each class will provide you with a full body workout using the equipment Joseph Pilates used in his New York studio. The springs, loops and straps may look a little ‘Fifty Shades’, but it does in fact not only provide you with a full body workout, it also looks to create new strategies for movement which can aid you whether you’re suffering from back pain or wish to run a marathon faster. With a maximum of 6 participants, classes will allow you to work on the Pilates Reformer, Trapeze Table, Ladder Barrel Chair and Spine Corrector. To join an Equipment Class you need either to have previous experience across all the equipment (not just reformers), have attended a 1-to-1 private session (and been signed off by an instructor to join group classes) or participated in one of our Beginner Equipment 6-Week Courses. For details on our next course, click here. The place to start your Pilates Equipment journey. These 6-week courses are in small groups of only 4 so you get plenty of personal tuition and leave the course feeling confident to join our Fundamentals level classes. For more information on our next course click here. These classes are suitable for those who are moving into a group class setting for the first time either from a private session or from one of our Beginner courses. It is also a perfect setting for those who are working through rehab issues (but have been signed off by an instructor to attend group sessions) as well as those who wish to recap on the fundamental principles of Pilates. So if you’re an experienced equipment class client then you are more than welcome in these classes and as always we can add progressions to challenge accordingly. These classes are aimed at clients who have done at least five Fundamental Equipment classes or have completed a course of six 1-to-1s. These classes will move from the Beginner repertoire into Intermediate but there will be modifications and progressions available, tailored for the class participants.